Yesterday, CNN published an article stating that an official ban on bump stocks will be announced in the next few days. GunLove reported on social media Tuesday afternoon that the rule had already been written but hadn’t been filed yet. A Slide Fire bump stock. There is no grandfather clause in the ban and we will be given 90 days to either turn in our bump stocks or “discard” them. 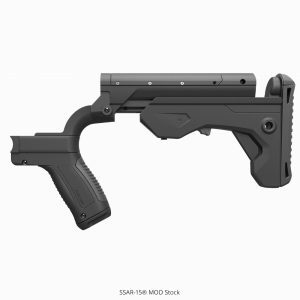 RW Arms is still selling Slide Fire and other bump stocks. Click here to purchase a bump stock while you still can. Bump stocks have always been completely legal and do not require a background check to purchase. You don’t need to register your bump stock, they do not have serial numbers and there is no record of your purchase. The final action has a date of 12/00/2018. Supporters of the ban, like Nancy Pelosi, the newly appointed leader of House Democrats, have expressed the desire for the ban to pave the way for further gun control. As we have published in previous posts, a bump stock ban will do absolutely nothing to stop bad people from killing innocent ones. There is nothing about the bump stock that makes it more deadly or powerful or any other buzzword the anti-gun crowd wants you to believe. We anticipate the new rule being challenged in court. Click here to read more of GunLove’s reports on bump stocks.